The journey of minnows Oriental Lisbon. Who are Clube Oriental de Lisboa? Well, the thing is, you probably don't know - and I doubt many others would, too. Languishing in the backwaters of Portuguese football in the National Championship - G, the club is pretty much unheard of outside of it's hometown Lisbon. Oriental, as they are more commonly known as, are of semi-professional status and have a local reputation. 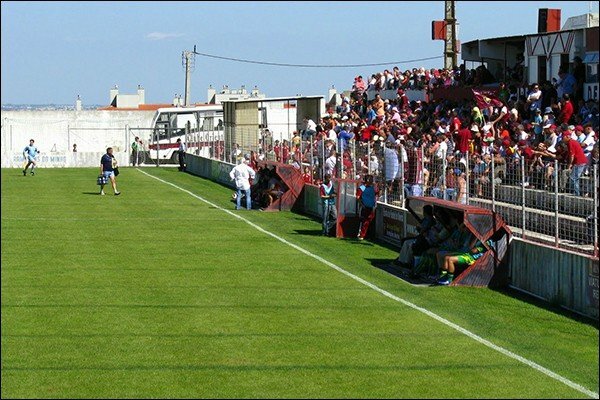 They play their home games at the Campo Engenheiro Carlos Salema which can hold around 8,500 spectators. 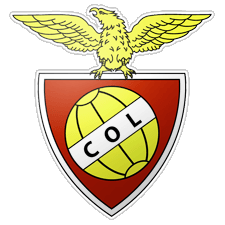 Oriental in Football Manager are predicted to finish first in the National Championship - G, one of the many little sub divisions of the newly revamped third tier of football. Despite being predicted to top the league, the club is not in the best financial place of all time and so that means using my money wisely. Vitor Martins, as he is more commonly known as, is an aspiring, 36-year old manager who spent the majority of his playing days in the lower reaches of Portugal's football league. After attaining his UEFA Continental Pro License he set about becoming a name known to the rest of the footballing world. Tactically astute, mentally sharp - he may not be a household name now, but he will be in a few years time. Here is a list of goals and targets I have set myself for the save. #20 Should Sebastião Nogueira Be Starting? #22 Martins: We Did It! #2 England Triumph In World Cup Final!!! #1 Season Two: Down To Business! #5 August: A Fantastic Start! #13 January: A Happy New Year? #1 Will He Stay Or Will He Go? #19 Oriental Seal Title On Fan Day! OUT OF CHARACTER: Credit to Pauker, we wouldn't be hear without him as he helped me get that golden 75% off voucher and also to Nick for making a modernised banner for the story. Enjoy! kthxbai. Predicted to finish 1st.. obvs you'll win! So excited for this, hopefully it will be even better than the last one! Good luck! :o A Walter story?! We are in for a treat! Good luck man! Good luck, I'm excited about this! Good luck. An interesting choice of club that I have never heard of. I sat on my chair on the balcony overlooking the crystal clear water of the sea, a slight breeze brushing against me. It wasn't too hot yet it wasn't too cold either, it was a perfect place to take a break. The sound of waves crashing against the shoreline was relaxing and the white exterior of the hotel made this break all the more better. Sometimes, it is best to take a rest - football can be tough work. 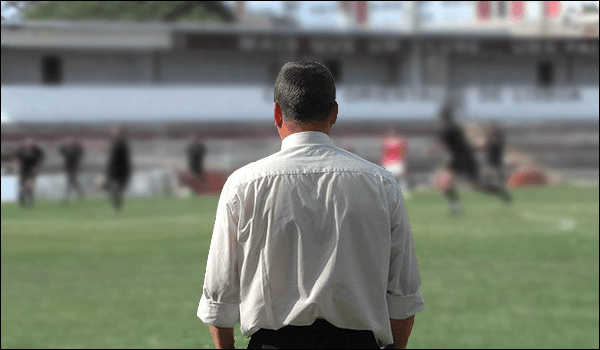 I was only a youth coach - yes, but if you are in my business, you'll know what I mean. It wasn't that I didn't love football, it was that sometimes that love for it took all your energy away, this was just how you recuperated. Despite being a youth team coach for my hometown team Vitoria Setubal.. I sometimes took this opportunity to get a little Football Manager under my belt. 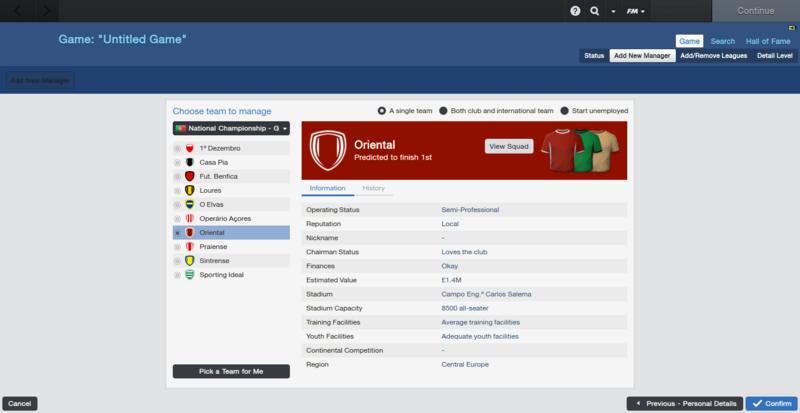 I remember my last holiday FM save, a successful one with Oriental Lisbon. 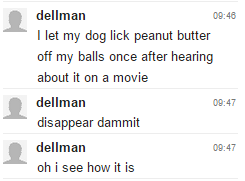 I didn't go all the way, something I deeply regret, but it was a save I enjoyed thoroughly. Suddenly, the door clicked open and then shut again. It was my friend, Paulo. "Hey Vitor," he said. "I just went to do some swimming, the water is beautiful." Paulo had a big grin on his face, he was always like that. "I will come down later," I started, "But this book is really interesting." I heard my phone ring but I didn't recognise the number. I answered, anyway, and listened. It was a man on the other end. "Hello, is this Vitor Martins?," the man quizzed. I told him it was, and he was quick and precise in what he said, but he did say made me speachless. "Hi Mr. Martins, I'm Jose Nabais and I am the chairman of Oriental Lisbon - a little football club in the National Championship - G. You may or may not have heard of them... but the point is I've heard great things of you and was wondering if you'd come down for an interview tomorrow at 12:30?" I was gobsmacked, Paulo looked at me trying to get something out of me. "Yes, that is fine. I will be there. May I ask what job you are actually offering me?" "Vitor - I want you to be the manager of my team!" he exclaimed before laughing and saying good bye. I wasn't laughing however, I was in shock. "I just got offered the manager's job at Oriental Lisbon..." I explained, the whole scenario seeming almost unreal. "Oh my goodness! This is great!! Just remember, it isn't any football manager game," he winked. "Oh I know," I started. "This is the real thing." Jamesg Hopefully you will know them all too well by the end. And so it begins. I hope this will be as successful as your first Oriental story! - My grandfather played for Oriental in the 50s. - He recently passed away. 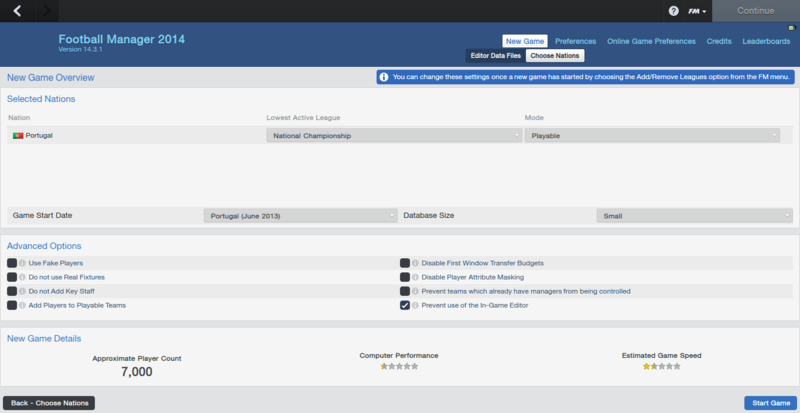 - I didn't even know FM had the Portuguese third tier. I immediately went and downloaded FM after reading your last Oriental journey in all of its glory. - The story is so. damn. good. Cheers mate. I know you'll do great things with Oriental! Nealao Mate I want it to be even better! Thanks for the comment. CarlosV Wow, I never knew that, that's amazing! Thanks for the great comment and I'll be sure to follow your journey in the Portuguese third tier as well! You are reading "Oriental Lisbon - One Step Closer".